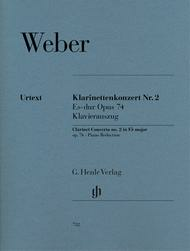 For Clarinet & Piano Reduction with Urtext and Barmann parts. Composed by Carl Maria von Weber (1786-1826). Edited by Johannes Umbreit and Norbert Gertsch. Sheet Music. Paperbound. Henle Music Folios. Piano Reduction by Johannes Umbreit. Clarinet part in Bb; with additional clarinet part revised by Carl Barmann. Classical. Piano Reduction. 72 pages. G. Henle #HN732. Published by G. Henle (HL.51480732). 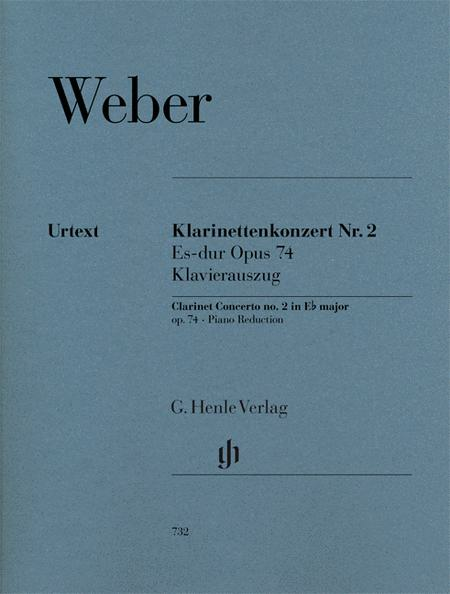 Now the Concertino and the First Clarinet Concerto are about to be followed by Weber's Second Concerto in E-flat major, edited by Norbert Gertsch. Once again, the piano reduction contrasts the original solo part with the widely known version by Carl Bärmann (both parts are separately enclosed). The accompanying preface offers a detailed explanation of the importance of both versions and how they interrelate. has the commonly used markings as interpreted by Heinrich (or Carl?) Baermann. 32 of 60 people found this review helpful.